The introduction to a medical practice begins in the waiting and reception area. A patient’s perception of the practice starts there, and it’s an impression that will be perceived as who we are. We should use every action and opportunity available in this location to promote the practice. The reception and waiting areas in our medical group must engender a warm, caring atmosphere that provides comfort, concern, and courtesy to every patient who is in need of service. It is Access’s initial point of contact and provides the first face-to-face interaction with Access for the majority of our patients. 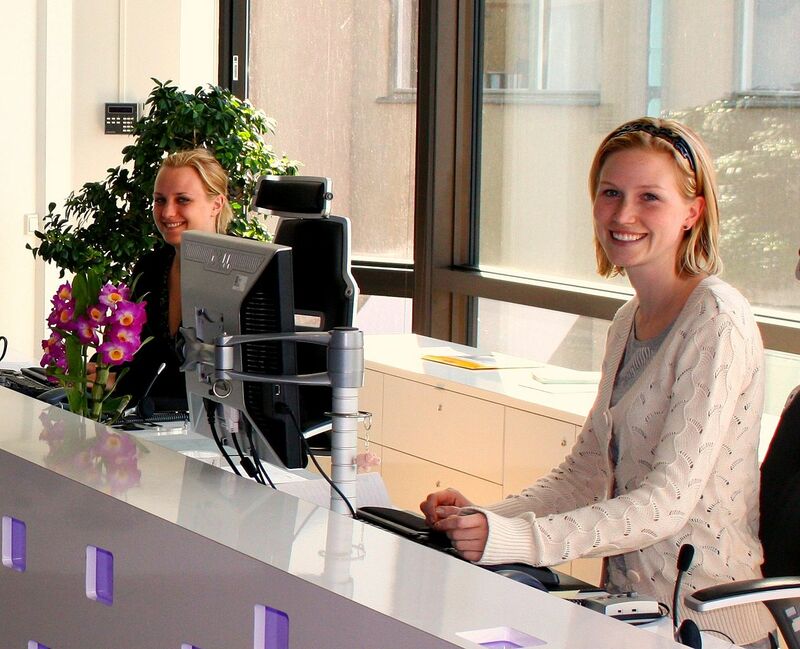 Our front desk reception receives anywhere between 8 and 200 visitors a day, depending on the practice, number of providers, specialty, location, etc. Appointments are not the only reason we have visitors – patients stop in to pick up paperwork and prescriptions, ask questions, receive lab work or imaging tests, and family or caregivers often accompany them. At the same time, the staff is answering phones, checking in, verifying information, and registering patients. It can be chaos… but we must take good care of our patients, who are also our customers. The flow during the registration process needs to be seamless. Using the website to pre-register patients and automating the registration process will decrease errors in Revenue Cycle management. Lately, the use of kiosks has also been positively impacting the patient experience and reorienting the focus of the patient experience on the “front desk” staff. Creating an environment that encourages patients to engage with their healthcare leads to happier patients overall. Education and training of our staff will be the key. We should always appear friendly and patient-centered to our customers. It’s also important to measure outcomes and patient satisfaction at least quarterly. Customer Service activities at Access Health Care should be designed always to enhance the level of customer satisfaction--that is, the feeling that a service has met the customer’s expectation. Honor them as the most important guest, and they will feel like the most special patient.